Our steak knives designed in a pocket-knife shape have a stainless steel blade and provide effortless fillet and meat cutting and a perfect knife control. 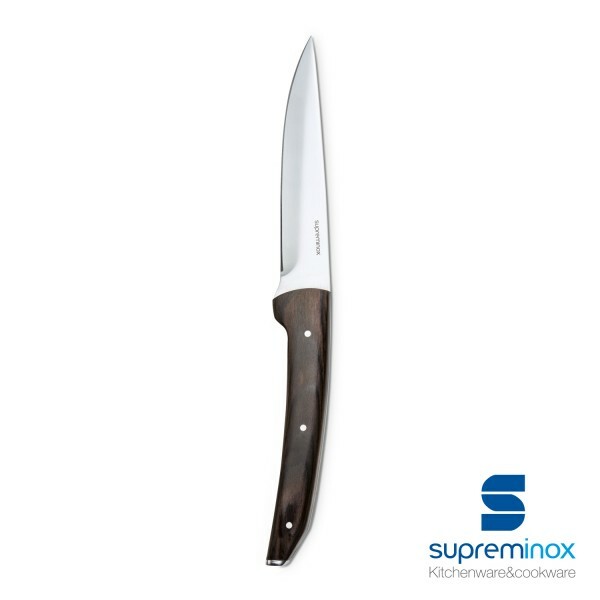 Find out more about our Navajas steak knives collection on Supreminox.com. Our Navajas steak knives bring elegance and style to your tableware. Its sharp stainless steel blade provide an effortless, smooth and fine cut, guaranteeing durability and resistance. A triple-rivet non-skid handle ensure a secure and comfortable manipulation thanks to its ergonomic design. Our Navajas knives collection products fulfill the high quality standards required in the hospitality industry which make it a professional option for your business. Discover more from our Navajas steak knives collection here. Order online here.